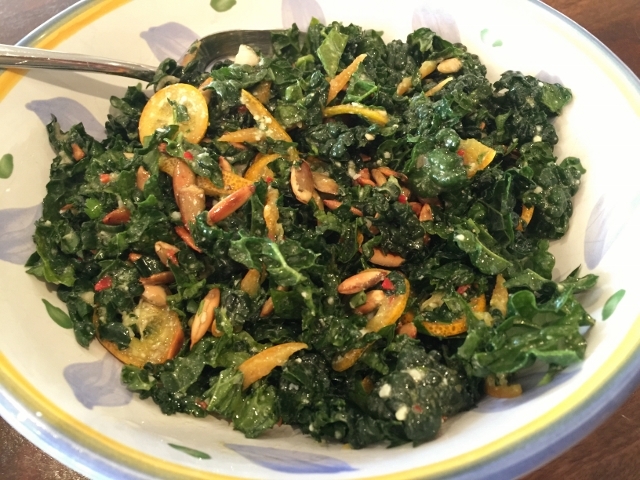 Kale & Kumquat Salad with Jalapeno Vinaigrette - Recipe! - Live. Love. Laugh. Food. 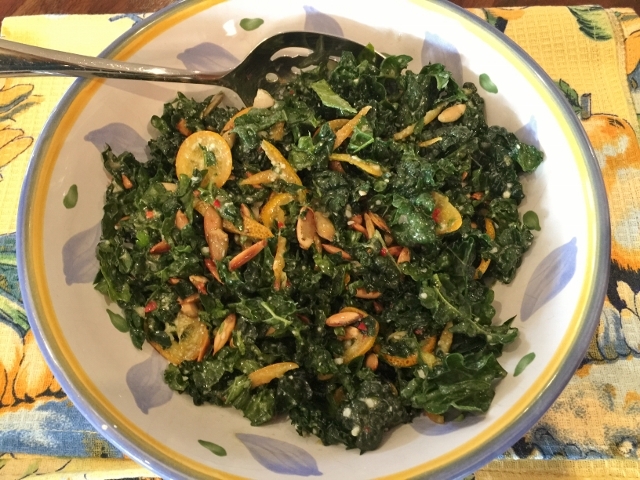 Kale & Kumquat Salad with Jalapeno Vinaigrette – Recipe! Citrus season is in full swing and I happen to have a few trees right now that are abundant in fruit. My kumquat tree is a miniature varietal, but boy does it have a load of citrus right now. When I was young, my neighbors had a kumquat tree and me and my friends enjoyed picking the fruit. I remember biting into the little oranges (as I called them) and tasting sour, followed by a hint of sweetness. Kumquats always seemed to intrigue me because of their size and unique bright taste. 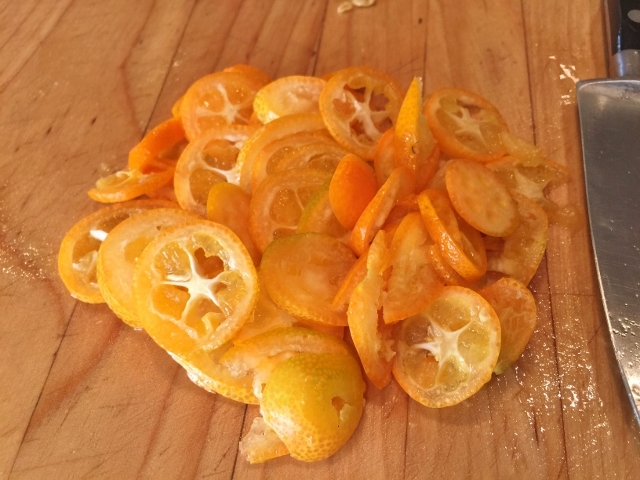 Today, I use kumquats in a variety of different recipes including; jams, sauces, baked goods and especially salads. 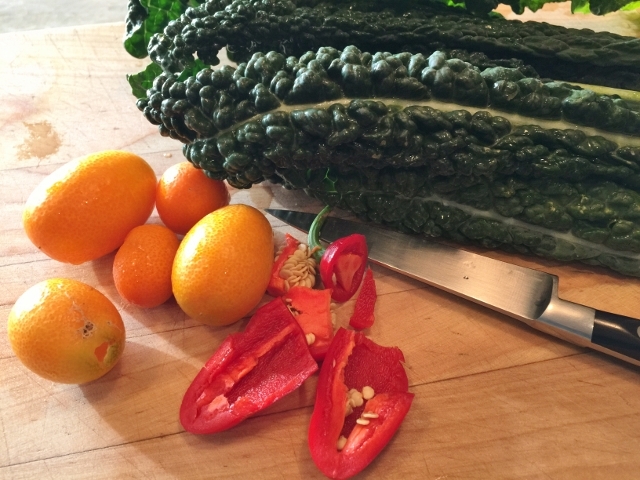 These little fruits give any dish a big citrus punch, which adds contrast to bitter kale. The health benefits of kale are substantial and here is a link to a website called Well-Being Secrets.Com, who provides science back health benefits of these beautiful greens http://www.well-beingsecrets.com/health-benefits-of-kale/. What makes this recipe so special is of course the taste, but also its simplicity. The flavors of this salad get better with a little time in the refrigerator, so the vinaigrette has time to marry with the kale and kumquats. If spice is not your thing, remove most of the seeds of the jalapeno and the dressing will remain mild in flavor. I prefer a little heat in my vinaigrette, so I prepare mine with half the seeds. 1. Remove half the seeds from the jalapeno or more for less heat and dice finely. Wash and dry the kale and kumquats. 2. 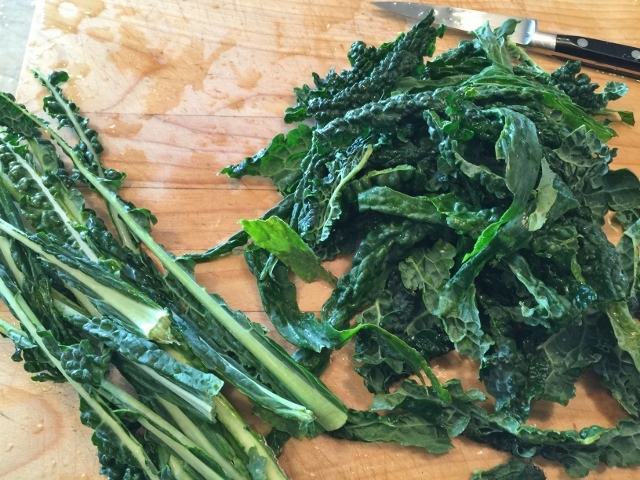 Strip the leaves away from the center stem of the kale and chop finely. 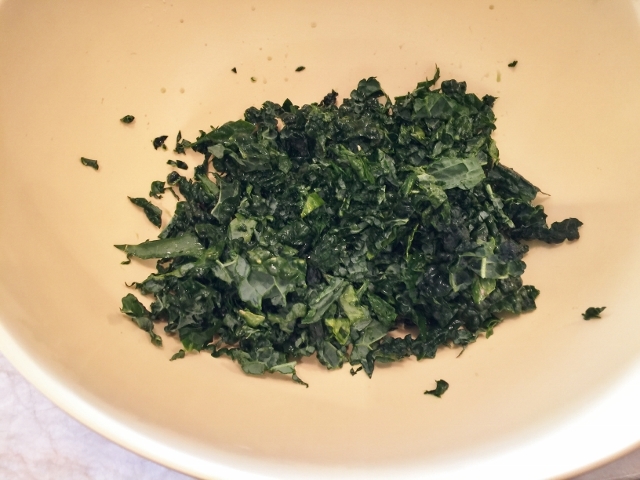 Place the chopped kale leaves in a large bowl. 3. 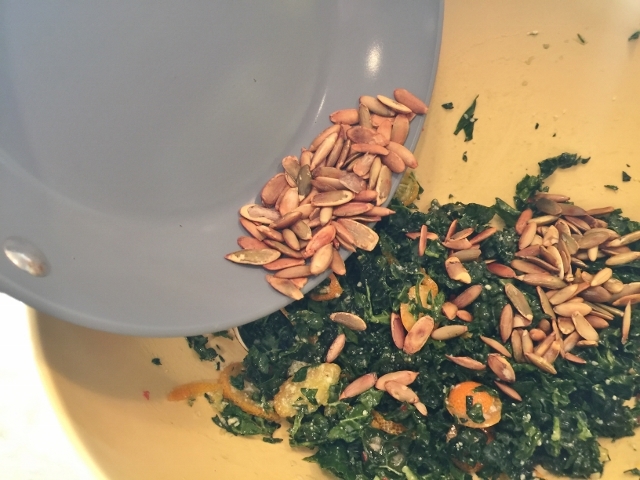 Slice the kumquats very thinly and add them to the bowl with the kale. 4. 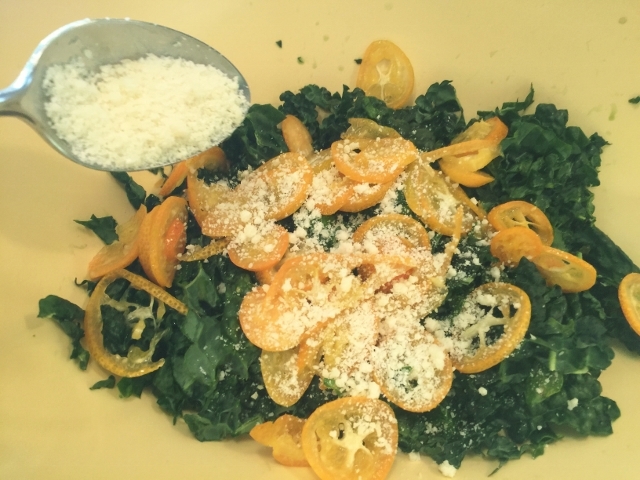 Sprinkle the kale and kumquats with the parmesan cheese. 5. 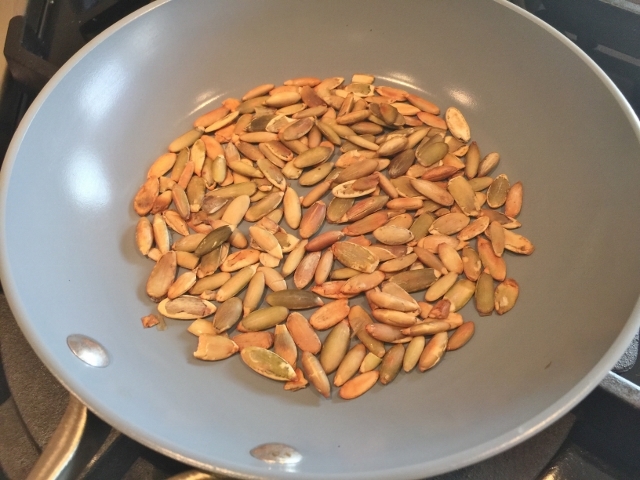 In a small saucepan, toast the pepitas over medium heat until lightly brown, about 2 minutes. The nuts may pop a little, so be aware. Let the nuts cool while you make the dressing. 6. 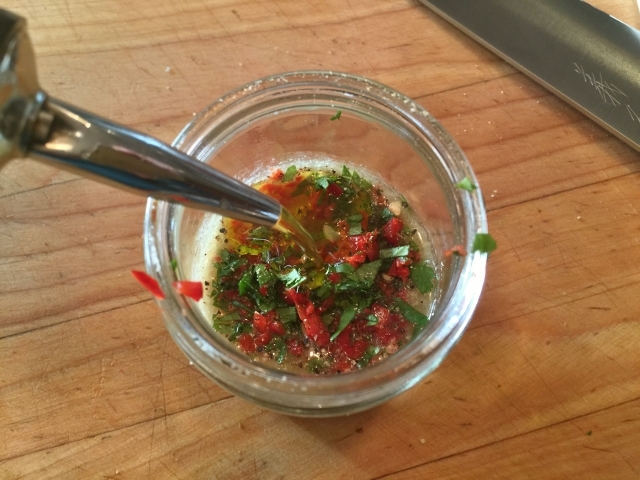 In a small jar with sealable lid, add the diced jalapeno, cilantro leaves, vinegar and Dijon mustard. Shake for 30 seconds. Add a pinch of salt and pepper and drizzle in the olive oil. Shake vigorously for 2 minutes until combined. 7. Pour two-thirds of the vinaigrette over the salad, along with all the pepitas. Toss to coat all the leaves. Add more vinaigrette, if needed or save for another use. Refrigerate the salad before serving, at least 30 minutes, or better if at least 2 hours. 8. 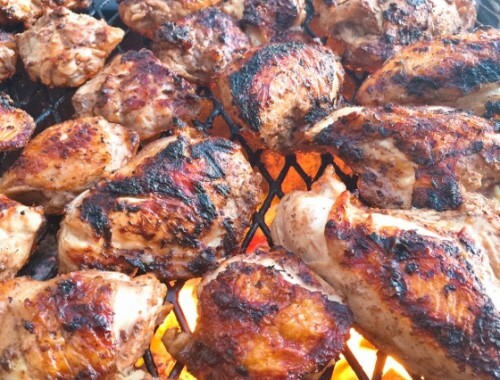 Serve with your favorite protein for a larger meal or all by itself for lunch. Enjoy! 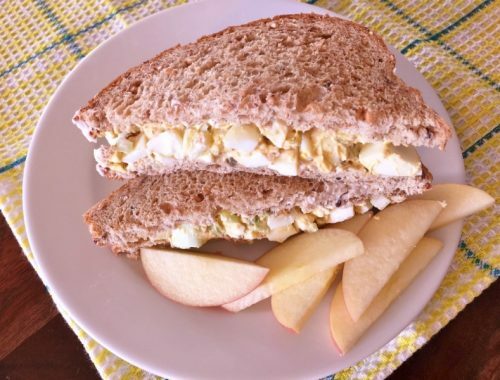 Easter Egg Salad – Recipe! 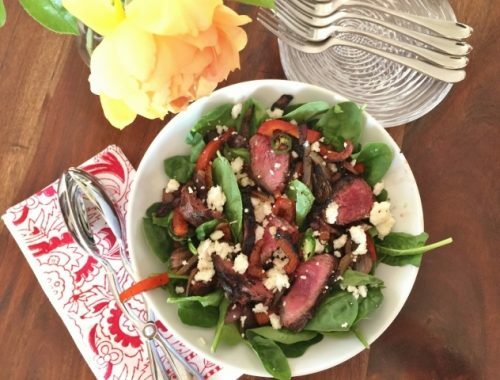 Mexican Steak Salad for Two – Recipe!